Welcome to Senhime Monogatari. This Modern Ryokan has 44 rooms (most are Japanese style), and each guest room has its own private bath and toilet. 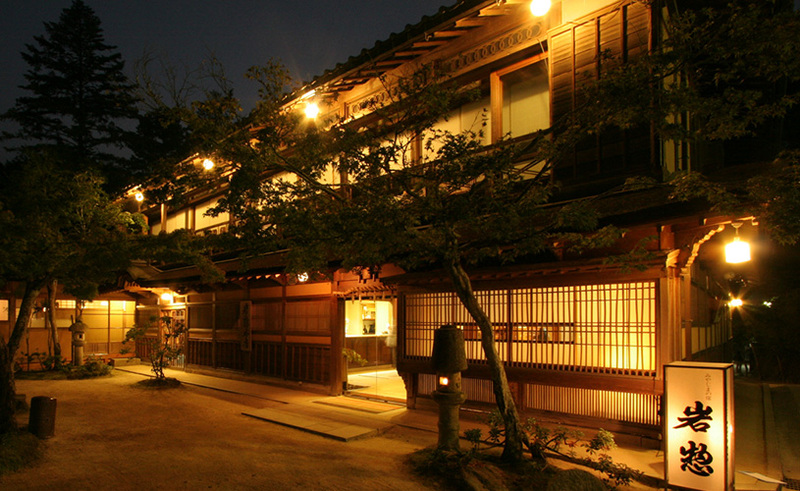 In addition, each guest room at Senhime Monogatari faces the Otani River. Indoor and outdoor hot spring baths for both women and men (same gender only) are available 24 hours a day. Senhime Monogatari takes special pride in its local, seasonal cuisine served to the guests, and in the morning guests have a choice of either a Japanese or Western style breakfast. Guests may dine in Senhime Monogatari's dining area or in the privacy of their own room. Check-in time is after 14:00 and check-out time is before 10:00 am. Parking is available. English is spoken. I spent two nights at the Senhime Monogatori ryokan and was completely overwhelmed by the kind, courteous, friendly, welcome I received from arrival to departure. The location is on the end of the Nikko and in a very quiet part of the town, convenient for all the major sites. The onsen at the ryokan was completely relaxing and completely clean at all times. But perhaps the most unforgettable part of the visit was the food. Exquisitely presented and served, and absolutely delicious; this was by far the finest Japanese food I have ever eaten. I thoroughly enjoyed this stay and can recommend it highly enough.